Niles, IL – A wide selection of chillers and refrigerated circulating baths that provide precise temperature control for analytical instrumentation is available from PolyScience. Designed to control temperature with stabilities as precise as ±0.005°C, PolyScience Refrigerated Circulators and recirculating Chillers are ideal for maintaining atomic absorption (AA) furnaces, gas chromatographs, mass spectrometers, inductively coupled plasma (ICP) techniques and other analytical equipment at optimal working temperatures. PolyScience Refrigerated Circulators are recommended for applications where a broad temperature range and/or ultra-precise temperature control are required. They maintain temperatures over ranges as wide as -40° to +200°C with up to ±0.005°C stability and deliver from 200 to 1400 watts of cooling at 20°C. PolyScience Refrigerated Circulators are available with reservoir sizes from 7 to 75 liters and offered with a choice of six different temperature controllers, including two programmable models. 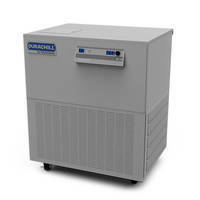 For applications requiring higher cooling capacities, PolyScience Chillers are recommended. 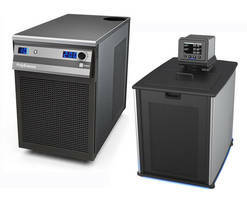 Available in both benchtop and portable models, these air-cooled units deliver between 460 to 5200 watts of heat removal at 20°C. They provide working temperatures as low as -20°C and as high as +70°C, stabilities as precise as ±0.1°C, and are offered with a variety of pump options. To learn more, call 800-229-7569 (outside the US +1 847-647-0611), email sales@polyscience.com, visit www.polyscience.com, or fax the company at 847-647-1155. Fuel Recirculation System helps diesel engines run smoothly. 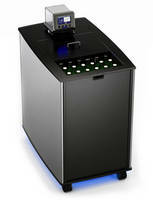 Fuel Recirculating System is offered in entry-level models.